Santa Clara, CA - November 10, 2011 - Milestone Internet Marketing, Inc. announced today that it has received more than 30 awards in 2011 for excellence in hotel website design and marketing strategies. 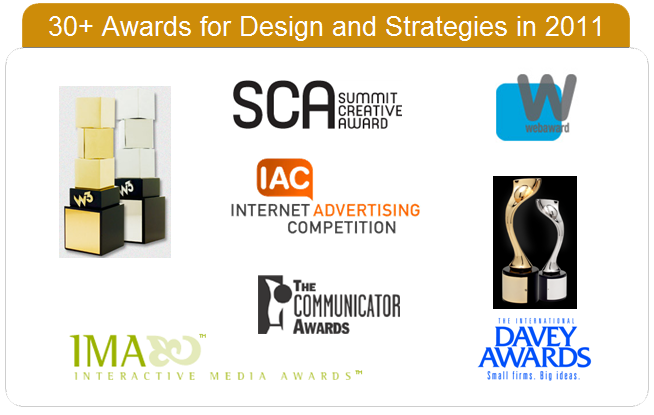 The awards were won in several prestigious competitions such as W3 and WebAwards, both of which are hosted by the International Academy of the Visual Arts, as well as The Communicator Awards and IMA (Interactive Media Awards). Each website was judged on creativity, innovation, campaign impact, design, copywriting, usability, marketing strategy, and campaign results by experienced professionals with an in-depth understanding of the current state of Internet advertising and design. Milestone is proud of its track record of consistently producing search engine-friendly websites that deliver a high rate of return on investment and adhere to best practice programming guidelines provided by the search engines. The highlights of these honors are two Best in Class awards from IMA for the development and marketing strategies for Extra Holidays by Wyndham (http://www.extraholidays.com) and Spectrum Resorts (http://www.spectrumresorts.com/). Winners of the Best in Class award, the highest honor presented by the Interactive Media Council, excel in everything from design, usability, and innovation in technical features to standards compliance and quality content.